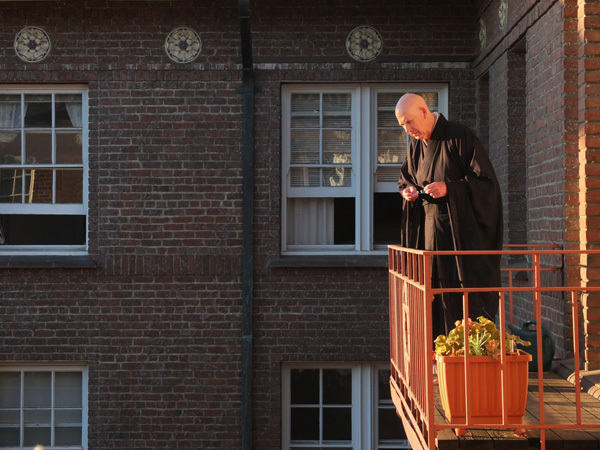 City Center Abiding Abbot Ed Sattizahn took in an early morning courtyard view between activities in the one-day sitting on October 4. This first sitting of the fall signaled that the abbot’s first practice period at Zen Center was well under way. In addition to offering a perfect stage for dramatic seasonal displays of sunlight, the peaceful courtyard is where some students may perform morning temple cleaning work, and is also a setting for enjoying short breaks during daylong sittings.